Ayurveda in Europe –Try it! Ayurveda is one of the most ancient sciences for healing of the human body, and in its history of nearly five thousand years of existence, in the form of holistic medicine, it brings health and longevity to people around the world. “The birth” place of the Ayurveda medicine is India, and the etymology of the word Ayurveda in Sanskrit means “knowledge/science of life” – the root of the word Ayur means (longevity/life) and Veda (science). Ayurvedic medicine is very different compared to the medicine practiced in the modern Western world. Unlike the well-known Western medicine, Ayurveda is looking for the origin of a given disease and then applies therapeutic healing methods by first striving to eliminate the root cause for the occurrence of a given health problem. Ayurveda views the man as a combination of physical, physiological, emotional and mental level, and in order the person to be healthy and energetic, all these levels must be balanced. Ayurveda believes that at his birth, the human being comes with a unique code, which determines his temperament and his basic physical and mental characteristics. According to these characteristics one falls into one of the following groups – constitutions, the so-called DOSHAS, known as: VATA, PITTA and KAPHA. 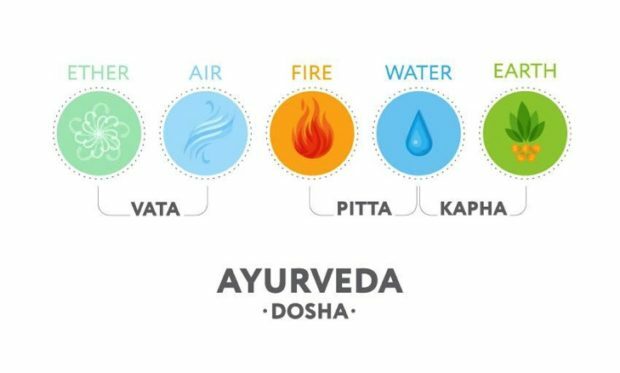 In Ayurveda, the Doshas are the three basic energies that flow in the human body, and due to the energy flow of different energies at any moment, there is a specific type of Dosha that dominates the other two and manages the functions. In a larger percentage of people, the predominant dosha is one or the dominance can be of maximum two, and in very rare cases – three, then we talk about three-dosha balance, the so called Saniipatik – absolute balance of the energies and a healthy organism, and vice versa – when there is an imbalance of energies then a health problem occurs. Pitta dosha – related to the elements fire and water, it manages the metabolic functions in the person’s body. People who have more Pitta energy in their bodies have the following characteristics – medium body frame and height, light skin, soft an thin hair, strong metabolism, they prefer the sweet foods over the spicy ones, they are active, energetic, organized, hardworking, impatient, slightly aggressive, with sharp mind, emotional, easily irritable, lack of resistance to stress. Vata dosha – related to the elements air and ether, manages the respiratory organs in the body, as well as the blood circulation and heartbeat. People with Vata energy are tall and thin, with small muscles, their skin is dry and thin, weak metabolism, they prefer sour and salty foods, easily distracted, forget easily, not consistent. Kapha dosha – related to the elements water and earth, manages the immune system and the overall development of the human body. The representatives of this constitution have strong muscles, they are big boned with soft and smooth skin, shiny hair, strong bones, weak but sufficient digestion, they prefer spicy foods, diplomatic, balanced and with controlled emotions, they prefer long-term planning. According to Ayurveda, diseases occur as a result of an imbalance (Vikruti) in one of the energies Pitta-Vata-Kapha. The presence of an imbalance in one dosha affects the health by slightly changing it, whereas if all three doshas are affected, this leads to very serious illnesses. The first task of the Ayurveda specialist is to determine the predominant dosha of the patient throughout a conversation. The pulse diagnosis /Nadi pariksha/ is one of the main methods for assessment of the health condition in Ayurveda, it is carried out by checking and measuring the pulse, so the Ayurveda physician can determine the type of pulse (there are about 20 pulse types) and what it reveals. When an imbalance is found, the Ayurveda doctor prescribes a treatment that, in simple terms, is aimed at balancing the affected energy/Dosha. 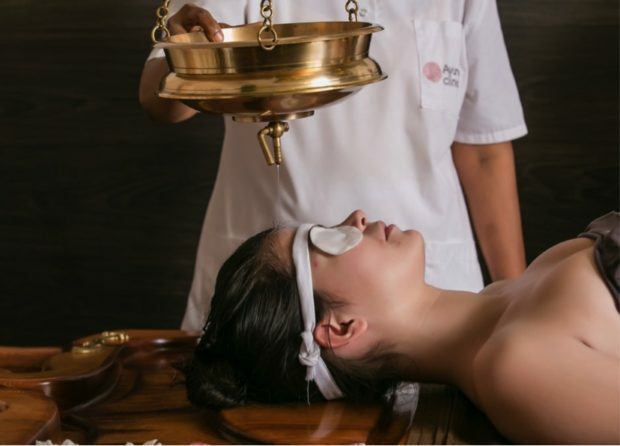 Puvakarma is an Ayurvedic healing system that is performed through external pre-treatment procedures, which prepare the body for the internal cleansing procedures. 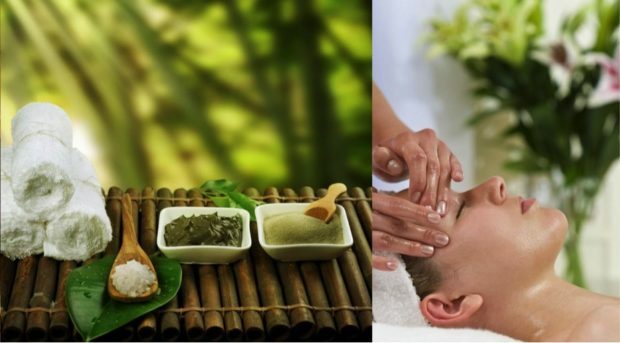 Puvakarma includes the herbal massages, pouring with oils, sauna and thermal treatments. Panchakarma has 5 main healing methods – Pancha in translation means “five” and karma means -”action, process”. The methods in Panchakarma are: vomiting, intake of herbs with laxative effect, intake of healing oils through the nostrils, medicinal enema and blood purification. Ayurveda is the “medicine of the East”, it has helped thousands of people enjoy a healthy, long and fulfilling life. 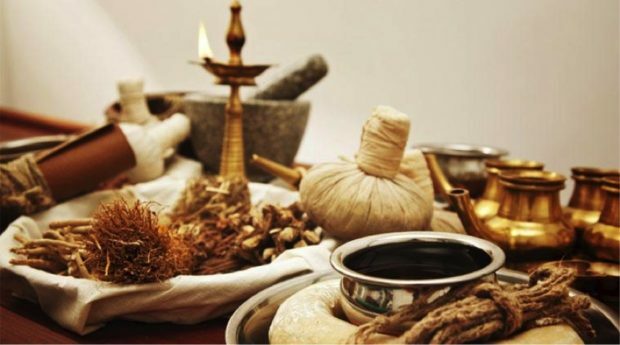 Today, not only in India, but also in the Western world, Ayurveda receives recognition with regard to its efficacy, as many people manage to cure their physical suffering by visiting an Ayurveda specialist. Nowadays in Europe there are many functioning Ayurvedic therapeutic centers, working in accordance with the Ayurvedic methods, as the duration of the stay in Ayurveda clinic varies from 7 days (for a less developed disease) up to 30 days (for more serious diseases). If you also suffer from a physical illness, do not doubt that that you will find a cure for it – Ayurveda saves lives for real!